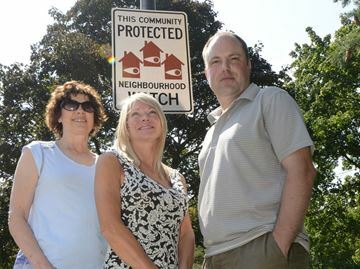 The Etobicoke Guardian has published an report on the evolution of Neighbourhood Watch groups in Etobicoke featuring interviews with Michael Karst (Central Etobicoke Watch), Jaqueline Murdoch (South Etobicoke Watch) and Sgt. Jeff Alderdice (22 Division, Community Response Unit). The article examines the changing role of Neighbourhood Watch from the traditional 1950’s model to one that embraces 21st century tools such as e-mail, blogs and social media to get the word out and keep a watchful eye on our respective neighbourhoods. It’s well worth a read.